Cremation offers many services, selections, and personalization options for creating the right memorial and tribute for you or a loved one. 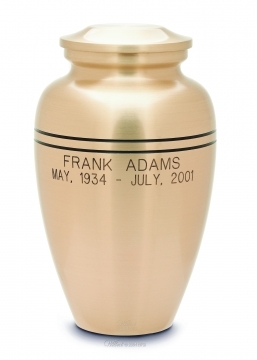 View Wilbert's catalog of cremation urns that contains over 200 cremation urns and products. 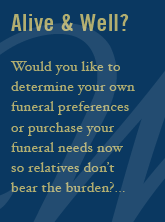 You may desire a funeral or memorial service at the funeral home or a place of worship before or after cremation. A service at the graveside, columbarium niche, or site of scattering is also an option after cremation. Musical selections, special speakers, keepsake videos, photo boards, and a memory table all add meaning to the ceremony. You may decide to hold a formal or informal gathering or visitation at the funeral home or another location to memorialize your loved one. This allows friends and relatives to come together and support surviving family members. A memory table with pictures and mementos of your loved one highlights treasured thoughts and memories. The cremation urn vault and cremation urn may also be displayed as part of the memory table. You may also choose to have a viewing. In this event, you want to select a suitable casket or container. You will need to decide on final disposition of the cremated remains. Some families keep them in a cremation urn at home, but many decide to bury them. Another option is placement in a columbarium niche, an above-ground structure protected by glass, marble, granite, or bronze. Where approved by local ordinances or laws, the cremated remains may also be scattered over an honorary place of remembrance at land or seas as chosen by the family. Again, funeral or memorial services may accompany all of these final disposition choices. If you are interested in cremation or a cremation urn, we encourage you to speak with a licensed funeral director at a funeral home of your choice. 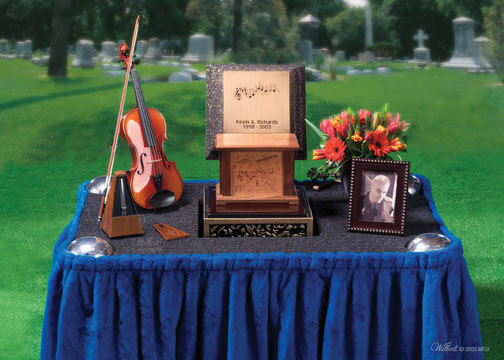 We offer a vast selection of Wilbert cremation urns -- view a sampling of available cremation urns on our website. For a complete catalog, or to order cremations urns online, visit Wilbert Direct. Online ordering is available to funeral directors.